Mat-Su Regional is Raising the Roof. 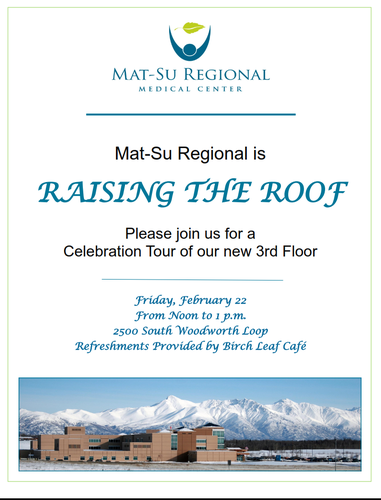 Name: Mat-Su Regional is Raising the Roof. Mat-Su Regional is Raising the Roof. Please join us for a Celebration Tour of our new 3rd Floor. Refreshments provided by Birch Leaf Cafe.